Kitchen storage containers like Easylock glass food storage containers are having upwarding trends. The space saving design makes it loved and hot-sale all over the world. 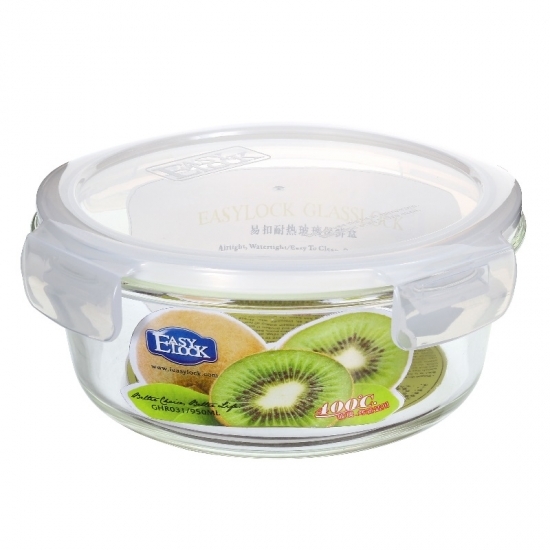 Easylock glass food storage containers adopt high-borosilicate glass as its material. And the airtight lids uses BPA-free PP plastic. Both of them are eco-friendly and non-toxic. 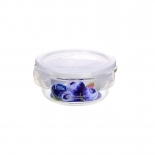 The glass surface of the food containers are smooth and stain-proof. High-borosilicate glass is more heat-resistant than that of tempered glass. It's safe under 400℃. 2. Leakproof, Airtight and Watertight Guaranteed. The silicone sealing gasket designed on the lid makes our Easylock food containers leakproof and absolutely airtight. The 4-side-lock lid helps lock the lid and prevent leaking. 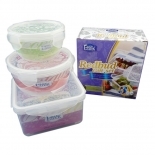 It's perfect for food storing especially for juicy foods or soup. As mentioned above, high-borosilicate glass is heat-resistant, Easylock glass food containers are safe in oven and microwave. It is also available in dishwasher and it's freezer safe. Just be sure that you use the glass food containers between -20℃ to 400℃. Note: Remove the lids when use glass food containers in microwave and oven. It's only top-rack dishwasher safe, please don't put it in bottom rack. 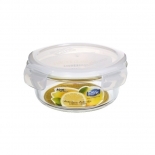 All Easylock glass food containers are stackable with lids on. You can stack the food containers up in closet, freezer or on countertop of your kitchen. Safe in oven and microwave. Avoid cooking on directly on open fire. Do not heat overtime or empty container. Remove the lid when using in microwave or oven. Avoid strong impact of your glass food containers. Glass food containers are stackable with the lids on. Do not use glass food containers that have crack on it. Do not use with aluminium-foil paper in oven & microwave. Don't wipe hot food container with wet cloth in case breakage. Remove lids when microwaving, dishwashing or heating foods in oven. Use gloves when taking out hot glass food containers from microwave oven. Choose default function if the oven have both microwave and bake function. Don't freeze food with glass food containers for long time. It might break the glass. Unfreeze glass food containers to room temperature before puting into pre-heated oven. Avoid abrasive cleaners or stainless steel scourer to prevent scratches on the glass surface. Don't fill the glass food containers to much before freezing juicy foods, otherwise it might have volume expansion that cause breakage of the glass.